A charcoal chicken shop was proposed to be open in the very busy local parramatta CBD district. 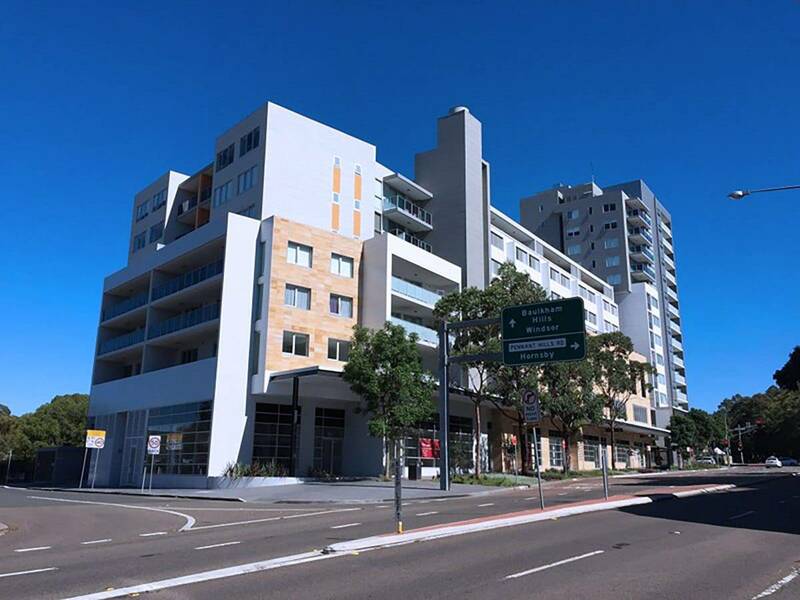 The major concern was the large quantity of smoke, grease and odour from charcoal cooking being discharged from the kitchen exhaust outlet located on level 7 of the apartment building. The building consisted of retail tenancies on the ground floor. The mechanical design implemented consisted an AOS double pass electrostatic air cleaner system which will ensure pure and clean exhaust air being discharged into the air. 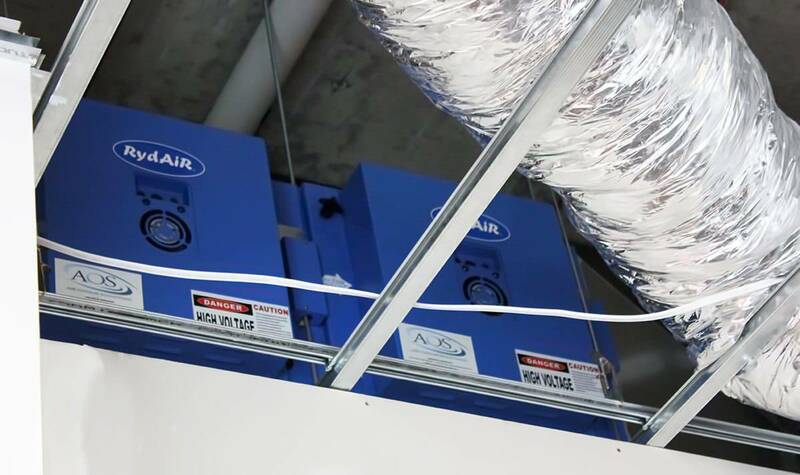 The advantage of implementing an electrostatic air cleaner and uv ozone system is that it will reduce the amount of oil and grease build up in ductwork thus minimising the risk of a fire occurring. 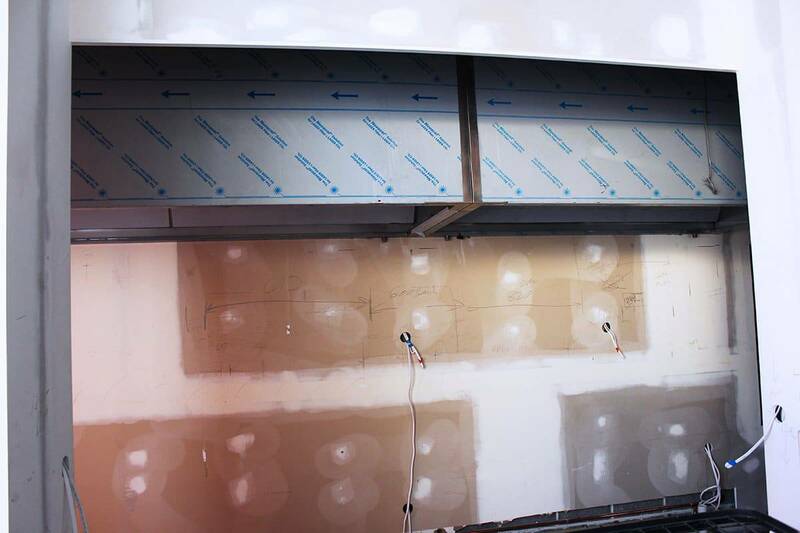 Installation of a stainless steel kitchen exhaust hood to AS 1668.2 2012 combined with the use of stainless steel flameproof honeycomb filters were installed inside the exhaust hood. The advantage of stainless steel filters is that it can stop a fire from occurring inside the ductwork because a flame would be stopped by the filter which is certified to BCA and the relevant AS 1668.2-2012 mechanical ventilation in buildings and AS 1530.1 methods for fire tests on building materials, components and structures – combustibility test for materials. Located at top of the kitchen exhaust hood, AOS double pass electrostatic air cleaner RY 7500 – DP -UV @ 2100 L/S efficiency 99.9% for treating the exhaust odour and fumes for the charcoal section. 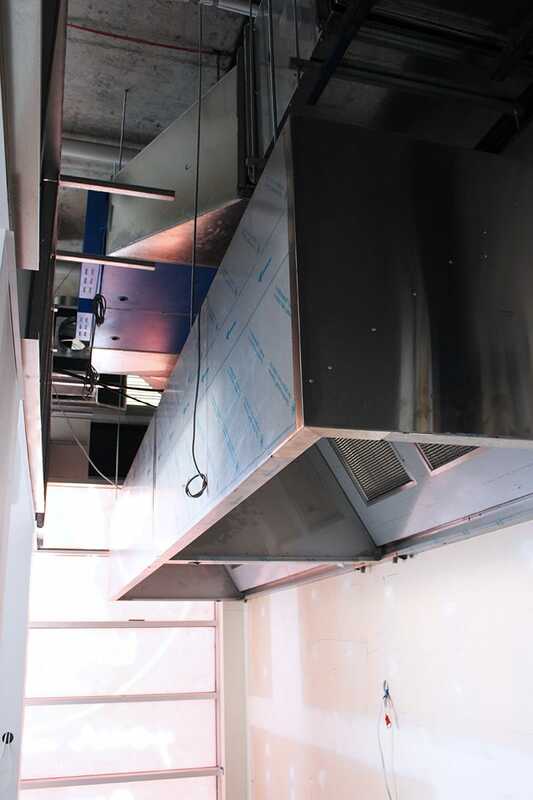 The AOS 2 in 1 electrostatic air cleaner with uv ozone was implemented in the ductwork system to remove both smoke and odour during the cooking process. 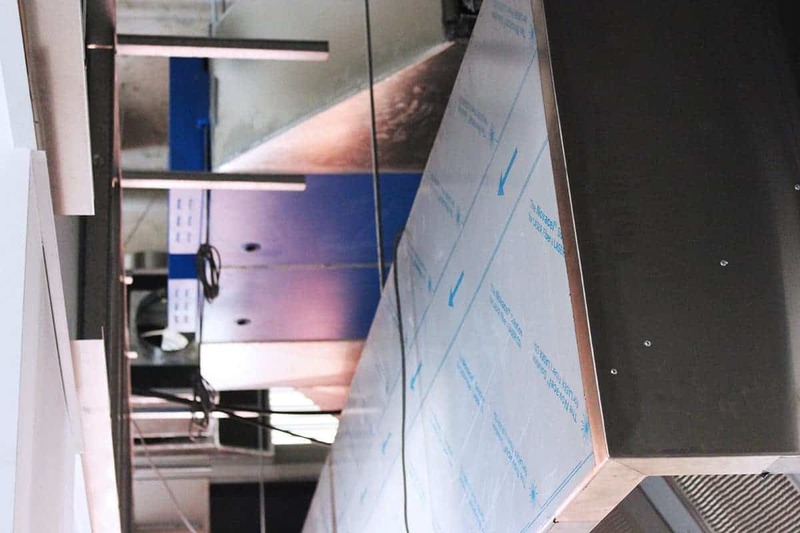 As part of the AS 1668.2 2012 and BCA performance requirements, an engineered alternative solution was required which therefore required a AOS kitchen exhaust filtration system to control the smoke and odour. Due to the nature of cooking, a double pass configuration was implemented with an efficiency of 99.9%. In charcoal cooking, it is especially important to control the large amounts of grease and oil in the kitchen exhaust ductwork because an ineffective system can result to fire. The local council approved the mechanical design with the implementation of the electrostatic air cleaner with UV ozone system and was certified to AS 1668.2 2012, BCA performance requirements and independently tested to ASHRAE standards. The end result is a clean and pure discharge on roof level.